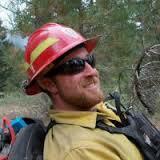 WRI is a non-profit conservation organization focused on integrated fire management. Our mission is to help humanity manage fire for the greatest benefit to people and wildlife. Email me jobs from Wildland Restoration International, Inc.